MyNxt.info is a long time and widely appreciated Nxt service site, which offers an online- and mobile- wallet, Nxt wallet plugin system, blockchain explorers, account alert service and much more. MyNxt.info has been run by abuelau, but was recently passed on to SuperNET. This brings new development, such as a general overhaul of services, updating them to the run on the latest NRS, and also integrating SuperNET developments such as the Multigateway and InstantDEX as wallet plugins. Tosch and VanBreuk will be the ones operating and developing the site on behalf of SuperNET. We aim to do more than keeping a good service working: we want to make MyNxt an essential tool for everyone in the Nxt community, and other crypto communities active in SuperNET and beyond. For this, we want to invite everyone to bring on their feedback about suggestions and improvements for MyNxt. Since MyNxt now works under the SuperNET infrastructure, there will be new life for MyNxt in the Asset Exchange (asset ID 2176003302076381931). 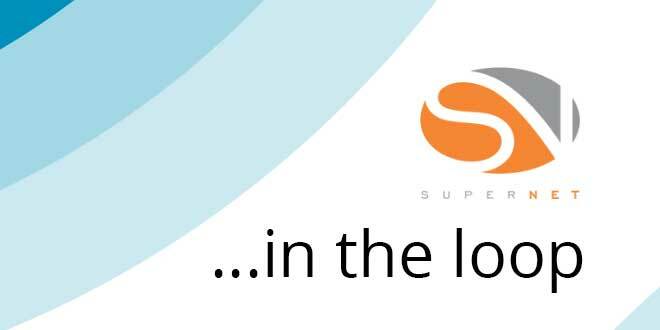 From November, SuperNET will manage the MyNxt project, including the Block Explorer, Online Wallet and NxtAd service. SuperNET is to take over Nxt wallet and block explorer initiative, MyNxt.info, with immediate effect. The servers have already been migrated into the SuperNET infrastructure, and the lead development and operation are now in hands of Tosch and VanBreuk. Both have been involved in the Nxt community since its early days: Tosch as developer of php/js/python applications and VanBreuk as forum administrator and technician for several projects, including the Nxt Wiki and the Multigateway. One of the greatest advantages of cryptocurrencies is that, while being available to anyone and offering a strong level of anonymity when used correctly, the blockchain remains fully transparent. Besides offering its Online Wallet and other tools, MyNxt provides a powerful overview of blockchain transactions on the Nxt network, and will do the same for other cryptocurrency networks in the future. One of the most important features developed in the last year has been MyNxt’s plug-ins system, a straightforward way for users to activate additional tools in their online wallet. This plug-in architecture has huge potential but has not received yet the attention it deserves. This is why the new development plans for the service have a strong focus on MyNxt wallet plug-ins. SuperNET developments like the Multigateway, InstantDEX or Pangea Poker will be available as plug-ins. Bring the Nxt Block Explorer more up-to-date with current Nxt developments. These include transparent forging, increased meta-data for the Asset Exchange, and explorer tools for the Monetary System, the Marketplace and the Alias system. Promote coins community discussion to gather feedback for further improvement of the Block Explorer, and for continued development of MyNxt Tools such as the Charts, the Forging Calculator, NxtAd or the Alerter service. Add powerful and reliable Blockchain Explorers for other active coins in the SuperNET community. First on the list is currently BitcoinDark. Improve the MyNxt API to give developers easier access to a broad range of functionality. Include SuperNET features as plug-ins for the MyNxt Wallet. Create new plug-ins with other interesting tools that Nxt or SuperNET have to offer. Connect the Block Explorers to the MyNxt Wallet, providing full integration between both for the MyNxt users. This will allow greater functionality such as buying assets or sending encrypted messages from the Block Explorer pages. MyNxt wants to give developers good reasons to use the API, welcoming contributions and creating together the best documentation for both newcomers to the cryptocurrency world and advanced developers.